Oh baby its cold outside. Are you winter ready? If you are lucky enough to experience a winter season where you live, here are a few tips that will help you stay warm and healthy. A good pair of mittens is a must! If you like to sew, these upcycled mittens are quite easy to make using an old wool sweater. They are snugly, toasty warm and make great Christmas gifts. The PDF pattern includes adult sizes XS, S, M, L, XL, XXL and child size large. It also comes in infant and child sizes. 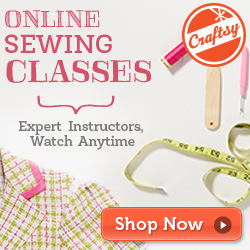 Detailed measuring guide comes with pattern to make sure you sew up the right size! You can get the patterns here on my website, Etsy or Craftsy. Pop these little hand warmers in the microwave for 30-40 seconds and place them in your coat pockets and you’re good to go. They are a great thing to send your kids off to school with, or on the ski slope. VERY easy to make! The free sewing tutorial can be found HERE. If your feet get cold in bed, I have the perfect remedy. Corn or rice filled therapy bags are the best. Just microwave and throw under your covers. They’ll keep your little tootsie warm for hours. The tutorial and pattern can be found HERE. Sweater slippers and sweater slipper boots made from (you guessed it) upcycled wool sweaters, are an excellent way to keep your feet nice and toasty. Patterns HERE. A nice cup of yarrow tea is sure to keep your insides warm AND keep your immune system in check in case you get sick! Yarrow tea is a great preventative remedy. If the crud is going around the neighborhood, don’t just sit there waiting for the symptoms to start, drink 1 to 2 cups of yarrow tea a day as a preventive tonic. If you already have symptoms, start flushing it out with 4 to 8 cups of Yarrow tea each day. Get the full yarrow scoop HERE. There is nothing better than a hot bowl of soup to warm you up inside. Here are a few soup recipes you may like to try. Of course you need to keep your head and ears warm too! Hats, hats, hats, there are all kinds of hats. Beanies, pilot, pixie, and pillbox hat styles can all be made using an upcycled sweater. The patterns can be found HERE. Staying healthy and well during the winter is a good thing. Here are a few preventative things you can do to help keep your immune system up and running. If you were to ask me what I thought the most important thing you could do to promote and maintain a healthy body, mind and spirit would be……….. MOVEMENT would be at the very top of the list. I am talking about PHYSICAL MOVEMENT, moving the body in some way or another. In my research, one of the things that intrigued me the most was that jumping on the mini tramp 10 minutes equals running for 30 minutes for a cardiovascular workout. That is quite amazing! I think a lot of us have it in our heads that in order to be in top physical shape we have to RUN marathons to achieve it. Rebounding is so much easier on the joints than running and can get the same results in less time. Skin brushing is simple, quick and very rewarding. This is another one of those things on the top of my “stay healthy” list! Skin brushing has been part of my morning ritual for quite some time. I can tell a big difference in my skin and in the way that I feel. Here are just a few of the benefits of skin brushing. Although, preventative measures are the best to keep you healthy, there still may be times you come down with that nasty cold or flu. Here are a few things you can do naturally to get you back on your feet. 7- Sore throat remedy that REALLY works! If you are experiencing a sore throat, don’t jump in the car and run to the clinic just yet. 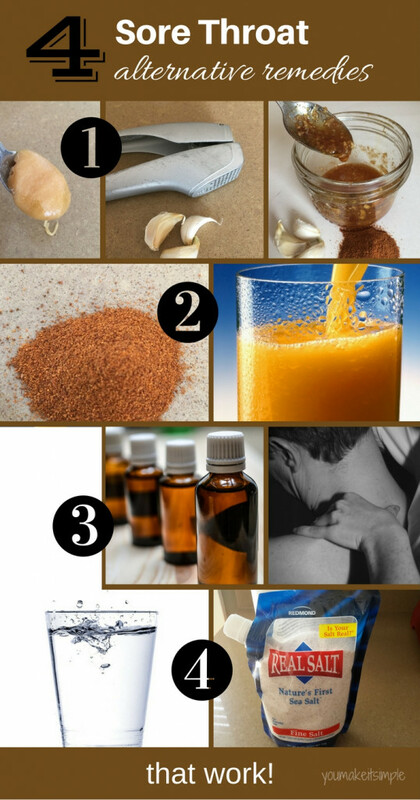 I am going to share with you 4 simple alternative remedies for a sore throat that really work! Many of the ingredients you probably already have in your home. If you have the aches, chest congestion and a lingering cough, this thyme bath is the perfect thing to get you going onto a QUICK recovery. When my kids were small, they would ask for a thyme bath whenever they weren’t feeling well. My youngest son is now 24 and had the flu a few weeks ago. He came home for a thyme bath because the place he lives doesn’t have a bathtub, only a shower. So see how this has been ingrained in their heads as something that WORKS! The thyme bath is not real labor intensive and most likely you may have everything you need right there in your home. If not, you can get dried thyme at your local health food store or use Thyme essential oil. You can learn the whole process HERE. If you are interested in other alternative remedies that really work, check out my little book of golden nuggets HERE. So, there you have it, 8 different ways to get ready for the cold WINTER ahead. It’s going to be a good one! I am Wishing you a warm cozy and healthy winter season.